If you were to ask high school biology teachers across the country about using real-time PCR technology in their classroom, many would tell you it’s impossible: the technology is too expensive by several orders of magnitude, the sample preparation is too complex, the necessary instruments require too much training to feasibly put students through, and so on. But String Theory High School and Biomeme are teaming up to make DNA analysis possible, even easy, for any high school teacher to implement in her classroom. 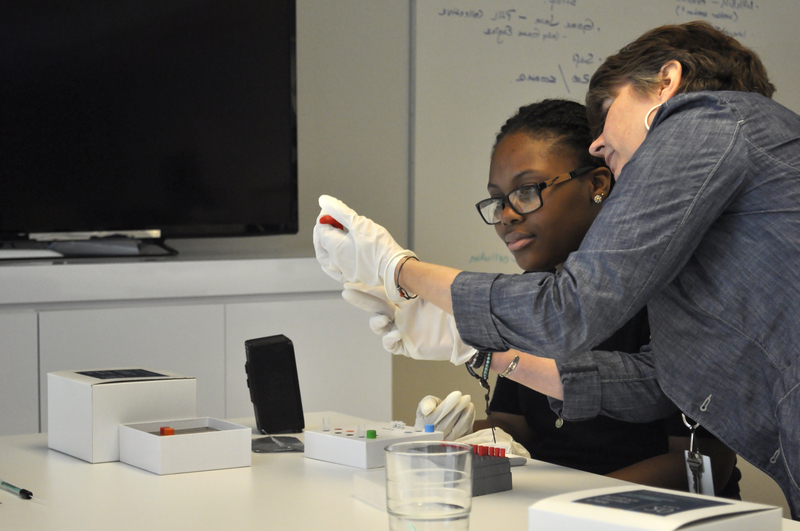 Imagine thousands of 16-year-old citizen scientists performing experiments using real-time PCR, cataloguing their progress, and sharing their results with each other all across the country… we’re on a mission to make that dream a reality, and it starts with a bunch of tilapia in downtown Philadelphia. Allow us to explain. Dr. Sheri Hanna teaches biology and serves as the Head of Innovations in Science and Technology at String Theory High School. Her work with students includes a fully functional aquaponics lab, replete with living, breathing, tilapia. That’s where Biomeme comes in—during their phylogenetics unit, students will collect samples from different fish (including the tilapia) and use Biomeme’s devices for a process called DNA barcoding to identify specific species and their evolutionary relationship based on their DNA sequence. Future units will include testing fish market and sushi restaurant samples for the correct species labeling and identifying human gene variants. 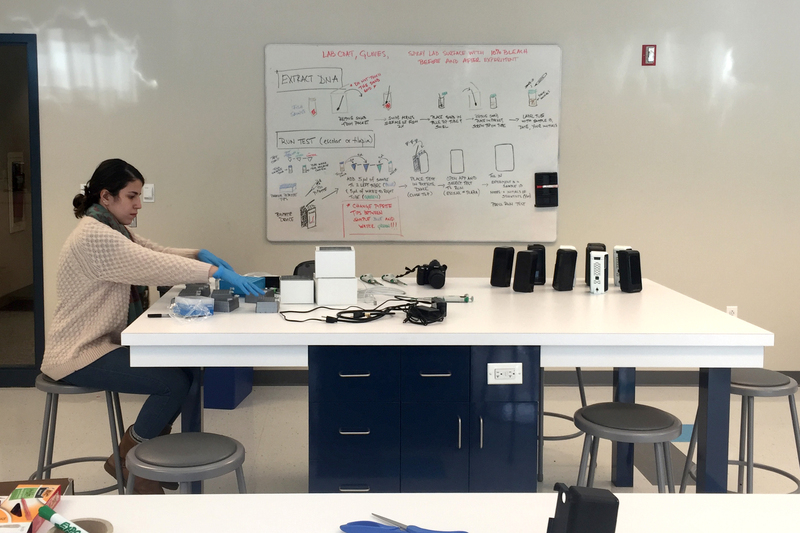 The curriculum will become available for other teachers to use on iTunes U, and will teach students to collect and store samples, isolate DNA from samples using Biomeme’s sample prep system, and amplify and test for certain markers using real-time PCR.